The Turkish defence electronics vendor Aselsan confirmed through its Annual Yearbook for 2017 that the ASELPOD advanced targeting pod was successfully integrated to and tested from the Pakistan Air Force’s (PAF) JF-17 Thunder multi-role fighter in 2017. The PAF ordered eight ASELPODs for $25 million US from Aselsan in 2016, with deliveries occurring in November 2016 as well as September and February 2017. Pakistan is the launch export customer of the ASELPOD. The PAF procured the ASELPOD in a bid to provide the JF-17 with precision-strike ground attack capabilities. By deploying the ASELPOD, the JF-17 is able to deploy laser-guided bombs (LGB) and, if equipped, laser-guided air-to-ground missiles (AGM). 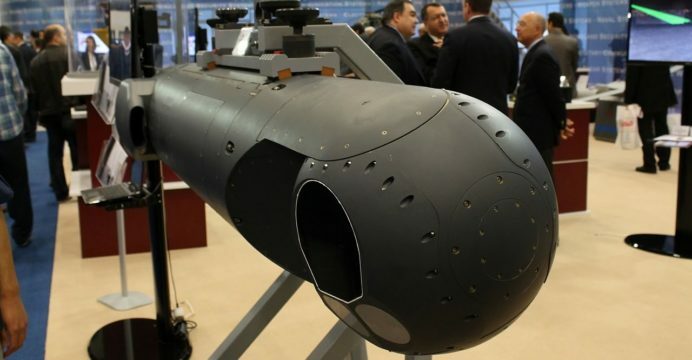 Though Aselsan said (in November 2016 during the International Defence Exhibition and Seminar) that it anticipates additional ASELPOD orders from Pakistan, it is unclear if the PAF has made another order. That said, the Daily Sabah did report, citing Aselsan’s disclosure on the Turkish government’s Public Disclosure Platform (KAP) in May 2017, that Pakistan ordered another batch for $24.9 million. Since 2010, Aselsan’s services in Pakistan had primarily taken the form of supplying software-defined radio (SDR) kits and, as of late, the ASELPOD targeting pod. However, the forthcoming induction of the Turkish Aerospace T129 ATAK attack helicopter as well as the Pakistan Navy’s MILGEM Ada corvette and Agosta 90B submarine upgrade programs will see the company’s activities in Pakistan swell. Be it electro-optical and infrared (EO/IR) turrets, electronic support measures (ESM) systems and, potentially, radar and sonar sensors, the company will begin figuring relatively prominently. However, it is unclear if Aselsan’s activities regarding the JF-17 will expand beyond the ASELPOD. It should be noted that Aselsan offers tactical data-link (TDL) terminals, integrated avionics, and electronic warfare (EW) and electronic countermeasures (ECM) systems for combat aircraft. Interestingly, the latter will find their way to Pakistan through the T129 program (20 of the 30 T129Bs slated for Pakistan will be equipped with Aselsan’s EW/ECM suite, which includes radio-frequency jamming).